The International Association of Athletics Federation (IAAF) announced on Monday that the two-time Olympic Champion and multiple world record holder, Kipchoge Keino will be named amongst 24 inaugural members of the IAAF Hall of Fame. The announcement of this honour comes after the conclusion of the 18th African Championships in Port Novo, Benin where the Kenyan team won 9 gold, 9 silver, and 9 bronze medals for second place on the medal table behind Nigeria who won 10 gold, 6 silver and 5 bronze medals. 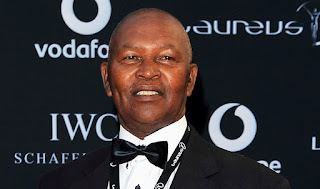 Keino who is the current chairperson of National Olympics Committee of Kenya (NOCK) will join part of the 2012 London Games team on Wednesday where he’s expected to be bestowed with the Freedom of the City of Bristol. The induction ceremony was created to mark the year of the IAAF Centenary and will officially take place at gala in Barcelona, Spain on November 24.